Dylan Curtis - Cat4 - Dylan is one of the nicest and engaging young men that we know. If you've been around the races with Dylan, then he's likely come by and said hello to you. We're grateful for his investment in our team the past few years. He'll be racing 3/4 races in 2018 and has 4years of racing experience. In the short 4 years that have been riding the main things that I have learned in racing are as follows. Have fun, be self-confident, and always be looking to learn. Starting off first we have fun. The foremost important thing about racing. I have always found also that fun doesn't always mean crossing the line 1st or making the breakaway you wanted to target. Fun means that after that hard work out or before you take to the start line, you are happy and looking forward to the challenge. That will make your perspective and attitude for training and racing so much better. Often there will be people that forget or lose track of that and they will come and go, but before long you will still be there with a smile on your face and goals on the horizon. Last, but not least always go into group rides and races with the expectation to learn something. Whether it's a rider you see doing something that is more efficient or learning how drafting works. 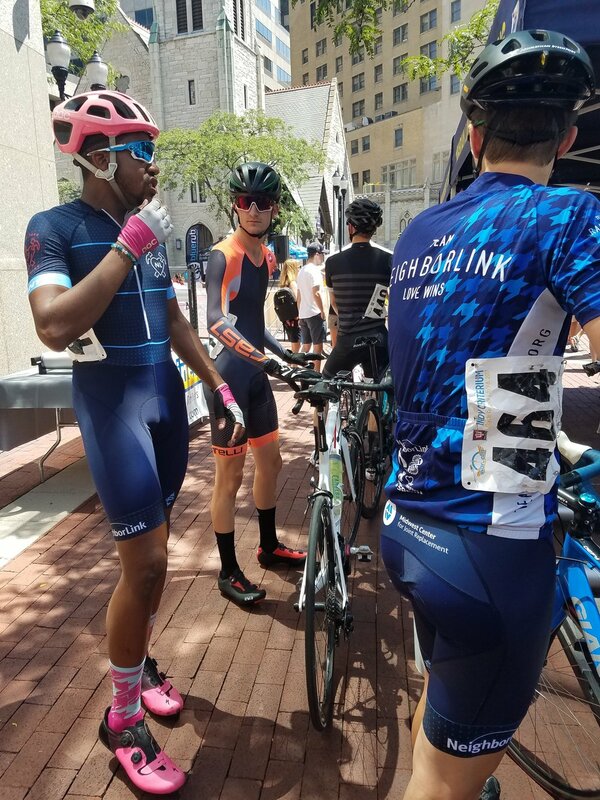 As you continue to ride and gain experience having those group rides that challenge you in your fitness will also open the door to many riders who are quite experienced themselves. There are always riders happy to share information during these rides. As you learn these things they all come back to adding to your self-confidence. From my personal experience the more you're able to add these the more fun you'll have and just like that everything comes together piece by piece! To closeout, I can't stress enough that it will take time and and there will be hard times. Getting into a race is the only way you will truly see how your fitness is to other competitors. Getting dropped or not placing is completely normal and we all have to start somewhere!